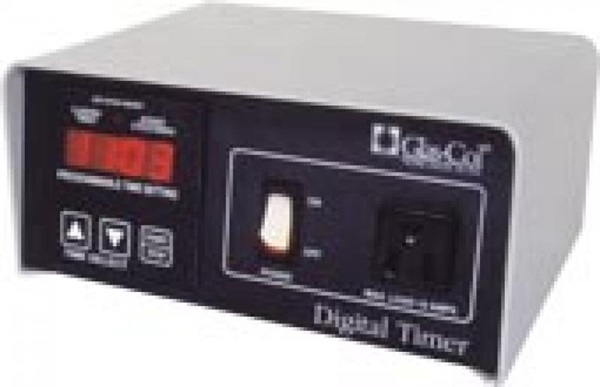 Our Countdown Interval Timer can be used with heating mantles, tapes, ovens and other resistive loads up to 10 amps. 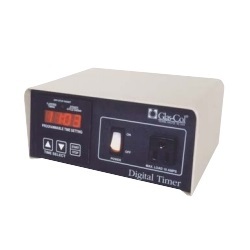 Also can be used with stirrers, vortexers, shakers and other motor driven laboratory equipment up to 10 amp load capacity. 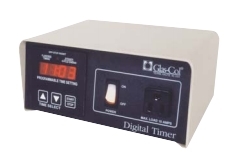 Four timing ranges selectable from the front interface: 000.1 – 999.9 seconds, 00:01 - 59.59 minutes : seconds, 0001 – 9999 seconds, 00:01 – 23:59 Hours : minutes.